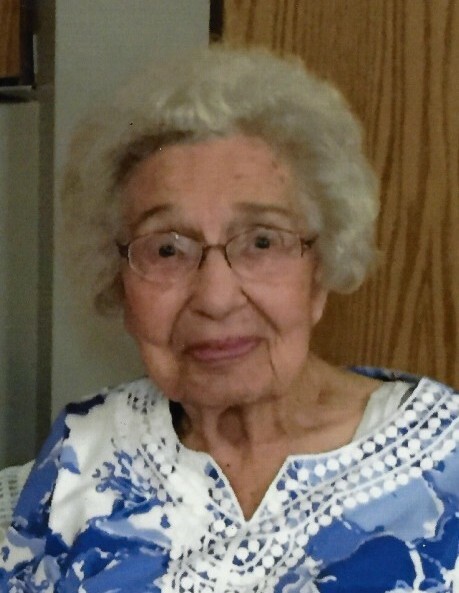 Margaret L. Lefke, age 101, of Portland, passed away February 6, 2019. Margaret was born to loving parents Oliver and Hazel (Parish) Smith on June 5, 1917 in Portland, Michigan. She was a member of the First Congregational Church and the Portland VFW 4090 Auxiliary, where she was past President. She enjoyed sewing and baked the best cookies. Margaret married Ronald Lefke in 1939. Preceding her in death are her husband, Ronald; sons, Dennis and Michael; and brothers, Bob and Henry Smith. Margaret is survived by her children, Karen Boatman, Douglas (Dixie) Lefke, David “Boudy” (Marlene) Lefke, Terrence (Natalie) Lefke, and Gregory Lefke; daughter-in-law, Kaye Lefke; 12 grandchildren; 21 great-grandchildren; and one great-great-grandson. A special thank you to the River Inn for the wonderful and compassionate care they took of Margaret. The Funeral Service will be conducted by Pastor April Barrett and Rev. Dr. Marilyn V. Danielson at 12:00 p.m., Monday, February 11, 2019 at the First Congregational Church, 421 E. Bridge Street, Portland. Interment will be at Portland Cemetery. The Family will receive friends on Sunday from 2-5 p.m. at the Lehman Funeral Home, 210 E. Bridge Street, Portland and from 10:00 a.m. until the time of the service at the church on Monday. Memorial contributions may be made to the First Congregational Church or the Portland VFW 4090 in honor of Margaret. Online condolences may be made at www.lehmanfuneralhomes.com.